ATLANTA –Attorney General Chris Carr and Commissioner of the Department of Corrections Greg Dozier are warning Georgians to be on the lookout for phone scams that may be a result of the illicit use of contraband cell phones by inmates in Georgia prisons. 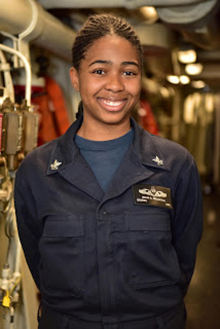 SAN DIEGO – A Norcross, Georgia, native and 2014 Norcross High School graduate is serving in the U.S. Navy aboard USS Russell. Petty Officer 2nd Class Imani Deloatch is an operations specialist aboard the guided-missile destroyer operating out of San Diego. A Navy operations specialist is responsible for monitoring radar and detecting aircraft or small boats in the vicinity of the ship. Peachtree Elementary School’s Sports Stacking Club will play host to the 2018 World Sport Stacking Association (WSSA) HOTlanta Regional Sport Championship. The competition will be held at Summerour Middle School on February 17 starting at 8:30 a.m.
At its February meeting, the Gwinnett County Board of Education named leaders for two schools. Brian Walker, an assistant principal at Craig Elementary School, will be the principal of Mountain Park Elementary. He will transition to the position as the school’s current principal, Dr. Allan Gee, takes the leadership role at Rock Springs Elementary School. 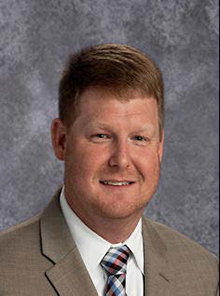 The Board also tapped Bryce Fulcher, an assistant principal at Pinckneyville Middle School, to lead Lanier Middle School. He will succeed Todd Hamilton, who has announced his retirement. Lawrenceville – Gwinnett County voters who have a change in their name, address or polling place will receive a new kind of precinct notification from the Gwinnett Voter Registrations and Elections Office. Meet & Mingle with Norcross Mayor—Fiesta Style!